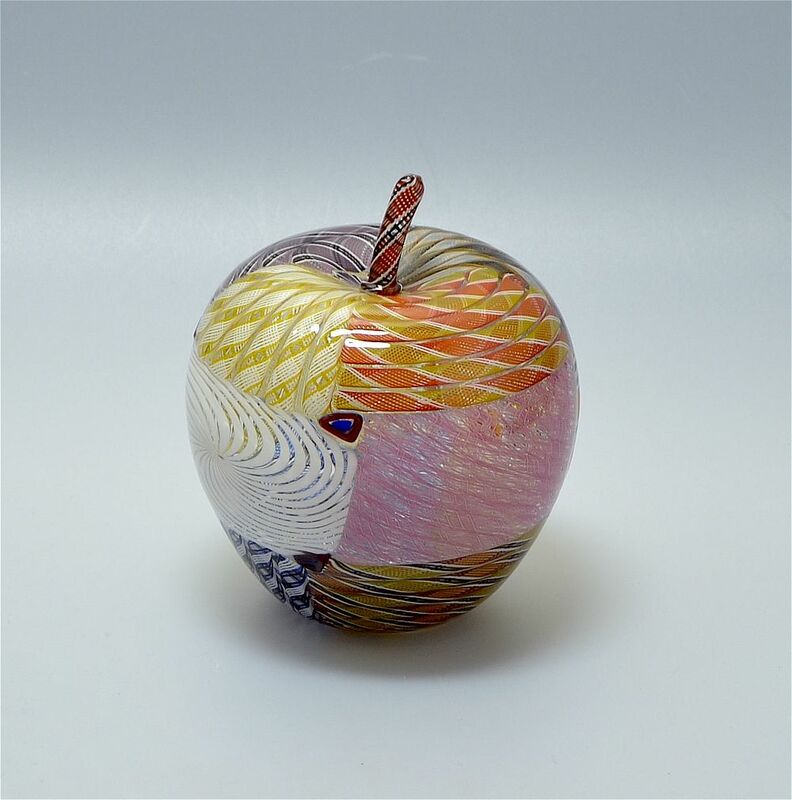 This is another hollow blown Patch fruit this time an apple made by Michael Hunter for Twists Glass in 2016. It is made of a series of multi-coloured zanfirico, tessera merletto murrine and white vetro a filli canes arranged in a patchwork pattern encased in clear glass with a rend white & black zanfirico stem. 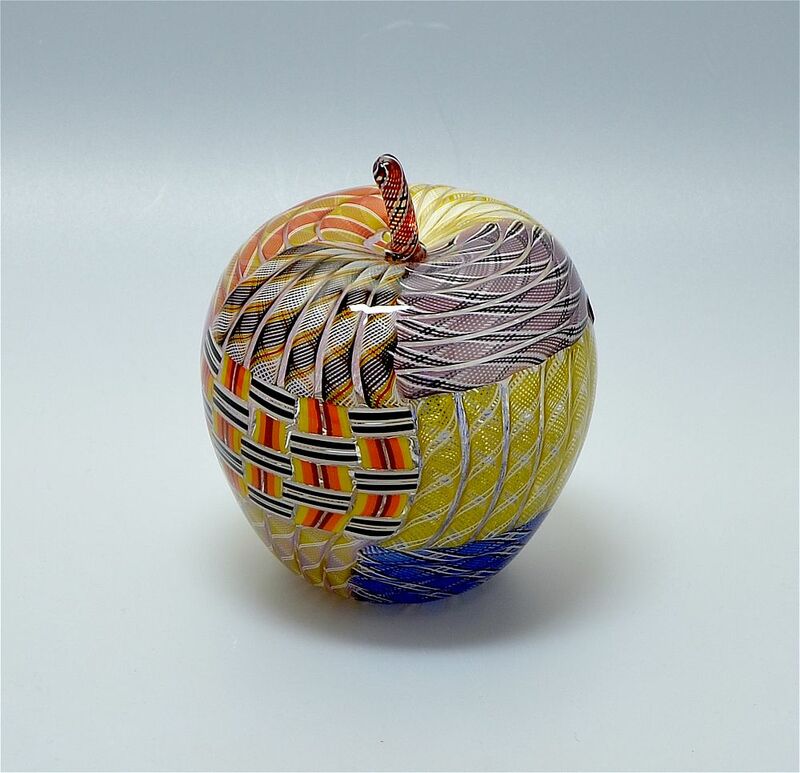 The base is scratch signed "M Hunter Twists 16 Patch Fruit Prototype" and has the Twists Glass studio label. Again this is a prototype which makes it even more special.